noiseLAB 4.0 is now shipping. Featuring a complete re-design, with focus on simpler workflow, faster and more accurate calibration, and a new, high-performance editor. In addition, new functions include vibration measurements, sound quality metrics, and the Nordic Impulse detection method. 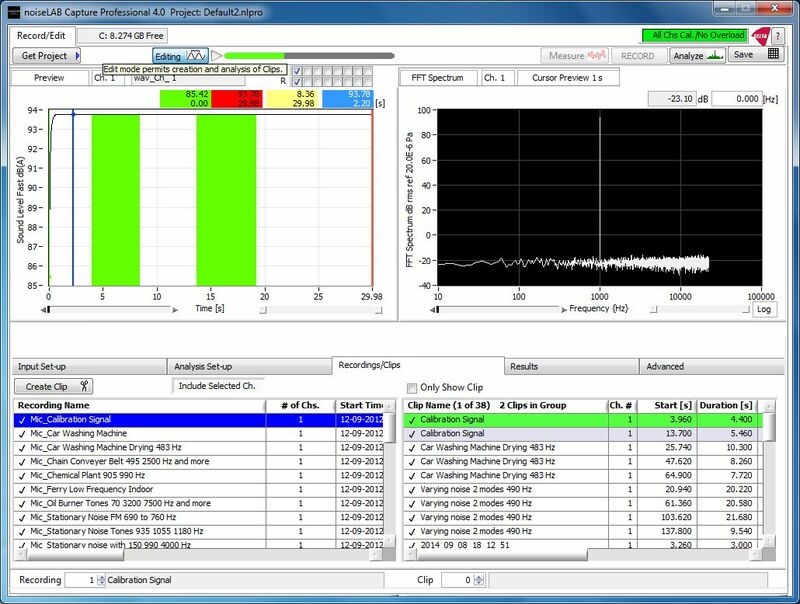 noiseLAB Capture, for recording or import of .wav files, editing, and basic noise analysis functions: Sound Level, Ln, 1/N Octave and FFT Spectrum Analysis. noiseLAB Batch for advanced analysis, including tone and impulse analysis, sound quality metrics, and vibration analysis and time slice analysis. If you already own one of these editions for noiseLAB 3.0, your existing license gives you a free upgrade to noiseLAB 4.0. To purchase noiseLAB contact DELTA or one of our distributors. Pricing of noiseLAB 4.0 remains the same a previous versions.